Slight delay in the dsending of this item but company kept us informed. On deliery the item was put to use adn so far has worked well for us. Professional data protection in the workplace. 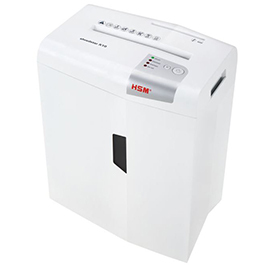 This convenient home office document shredder with particle cut and separate CD cutting unit shreds files and CDs/DVDs securely.